your chiropractors in the Fresno and Clovis community. Call us TODAY at 559-298-6325! Thank you for visiting Valley Spinal Institute at Preferred Chiropractic Center. Based in North Clovis at the Parkway Trails Shopping Center on the Northeast corner of Willow and Nees, we are easy to reach via Highway 168 and Herndon Road. We offer many advanced methods to treat back problems, neck problems, carpal tunnel, headaches, whiplash, degenerative and herniated discs. All of these pain-causing ailments can be treated quickly, with little pain and fast relief, to get you back to the things you love. We take pride in offering the most innovate and technologically advanced techniques to treat your problem. Drs. Matt Vinson and Sergio Balli have a combined 20 years of experience and use this experience to create a specific treatment plan for your problem. The doctors at Preferred Chiropractic Center are committed to providing pain relief for many symptoms and conditions so that you can have a higher quality of life. Don't just take our word for it; visit our testimonials page to see what our patients have to say. 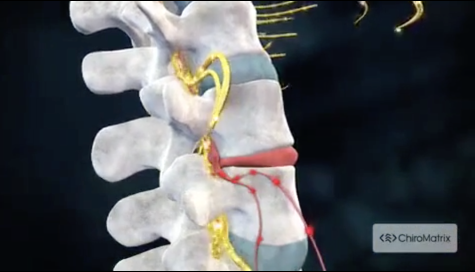 CLICK HERE to learn about our NEW non-sugical treatment for herniated and degenerative DISCS. At our Clovis office you will receive the best care through the use of modern chiropractic techniques and technology. The doctors and the staff at Preferred Chiropractic Center have a genuine concern for your well-being and health! Call us today and we can develop a chiropractic plan specific for you. "I have had a wonderful experience at Preferred Chiropractic Center. They have helped me more than any other chiropractor. The machines have been very beneficial. My adjustments are gentle and effective. I have been given exercises that help my back and neck problems. I would recommend Dr. Vinson without hesitation."